HAVE YOU ENTERED? DON’T MISS OUT! 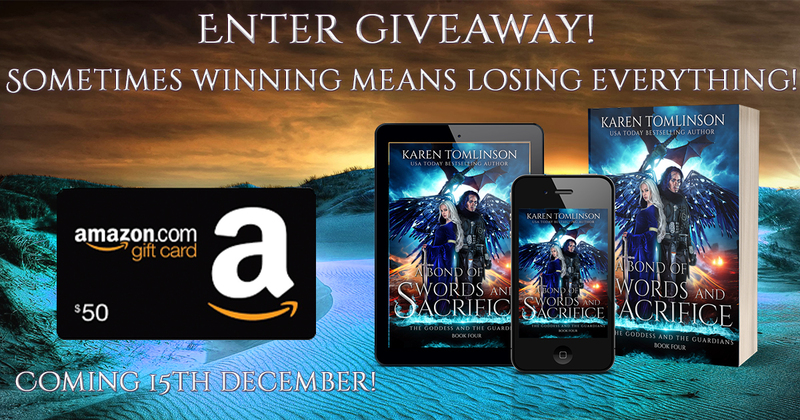 A BOND OF SWORDS AND SACRIFICE $50 GIVEAWAY! 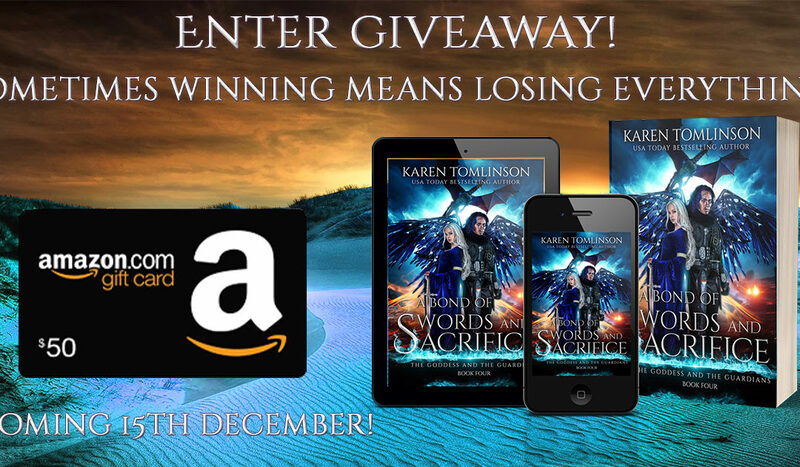 To celebrate the upcoming release of the final book in the Goddess and the Guardians series, I have set up this awesome giveaway! You can enter for a chance to win a $50 Amazon gift card. Check out the giveaway for ways to enter. A Bond of Swords and Sacrifice is up for preorder at $2.99. Grab your copy on preorder before it increases to $4.99! If you are a KU reader, that’s great! You will be able to read in KU for FREE from release date. Here’s the description. Just click on the image below for the giveaway or preorder HERE.